Dr Bart is an excellent and attentive chiropractor and one of very few in the state of Georgia that uses the Gonstead Method in his practice. He is not one of those "crack and pop" Chiropractors that keep you coming back three times a week for 6 weeks. He takes care of not only the symptoms (pain and lack of movement), but the problem itself. I would recommend him to anyone that has pain and reoccurring symptoms and again for patients who just want regular maintenance. He is great! Dr Bart is extremely thorough and professional. My husband and I have seen him for years and are very happy with the results. Melissa has been helpful and is always a pleasure to work with. Dr Bart is first rate. He knows what he is doing and only works on you if you truly need it. His current technology helps him pinpoint your areas of concern and he explains everything as he works. I have never had a great deal of confidence in chiropractors but I refer Pinnacle to everyone! Playing sports has always left me sore in various places yet I continue to compete. However, when my back was injured I could not move. Thanks to Dr. Dan and his staff I was back on the court within days. Thank you so much for putting me right again. I recommend everyone go see Dr. Dan not just when they are in pain but as a way of staying in alignment. A Weekend Warrior's Best Friend! While I still think I am in my 20's, my body tells my true age, 45 days shy of 50. After a weekend of fun, tennis and golf I hurt in places I didn't know were there. Under a regular maintenance program with Dr. Bart I am able to recover faster, practice longer, and play better than ever before. A big thank you to Dr. Bart and his staff at Pinnacle Chiropractic for keeping me at the top of my game! Dan Bart's knowledge is the best I have ever seen or experienced. His technique and ability to apply methods that are unlike previous "bone-breaking" practices is very refreshing and effective. I highly recommend him. I have been around chiropractic practitioners for three decades. I mostly had great chiropractors, however, Dr. Bart is just in a whole realm of his own!!! And I mean it from my heart. He obviously has great skills, but I have seldom met a person who is so capable and loving caring at the same time. Dr. Bart is a true healer, because it is all about body, soul, and mind connection! I can only shout it from the roof tops and highly recommend him, but you got to go see, feel, experience for yourself!!! This place is warm, inviting and soothing to the spirit. Dr. Bart is absolutely THE BEST chiropractic doctor I have ever met. The exam and consultation was thorough and informative. His plan for my treatment was clearly designed to correct the problem rather than to simply create repeat business. 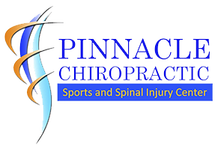 If you have any inclination to receive treatment I strongly suggest a visit to Dr. Bart at Pinnacle Chiropractic immediately. I have been using Dr. Bart for 8 years...not every week but at least 3 or 4! And not because of injury or significant pain. Being in my mid-60's, staying healthy, flexible and limber are top priorities for me. Having a weekly adjustment helps me with those goals and I highly recommend to all as we age. I want to live an active lifestyle...until I can't. So, Dr. Bart is helping me stay young and vibrant! Thanks, Doc!